Jalaluddin Haqqani, a one-time CIA asset who went on to found a brutal militant group that is now a top US target in South Asia, has died after a long illness, the Afghan Taliban announced Tuesday. 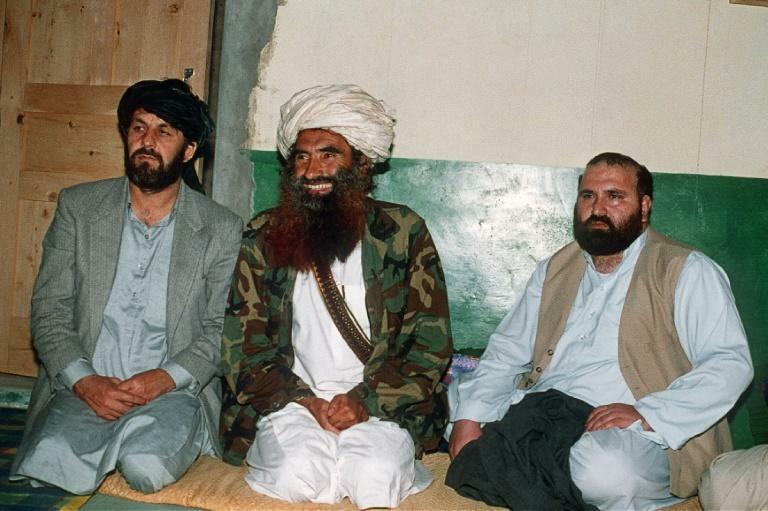 Jalaluddin, whose eponymous Haqqani network is known for its heavy use of suicide bombers against Afghan civilians, security forces, and US-led NATO troops, was a key figure in entrenching jihad in the conflict-ridden region over the past 40 years. His group is at the heart of regional tensions, with Washington and Kabul long suspecting the Haqqanis of having links to Pakistan's shadowy military establishment. Jalaluddin, believed to have been born in Afghanistan before migrating to Pakistan's tribal areas, first came to prominence as an Afghan mujahideen commander fighting the Soviet occupation in the 1980s with the help of the United States and Pakistan. Known for his organisation, courage and entrepreneurial skills, Jalaluddin was nicknamed "kabari", Pashto for scrap metal dealer, for reselling parts of tanks that had been destroyed on the battlefield. He became a CIA asset and received a personal visit from US congressman Charlie Wilson, who helped secure arms for the mujahideen. Over the following decades, the media-friendly Jalaluddin used his Arabic language skills to foster close ties with Arab jihadists, including Osama bin Laden, who flocked to the region during the war. He became a minister in the Taliban regime which took power in Afghanistan in 1996 -- one of the only major mujahideen leaders to join the group -- and was close to its late founder Mullah Omar. But after the US invasion of Afghanistan in 2001 toppled the regime, he pulled back from the public eye, making only a handful of appearances in later years as the fearsome reputation of the Haqqani network began to grow. The group, designated a terrorist organisation by the US in 2012, has been blamed for spectacular attacks across Afghanistan since the Taliban, and is one of the most merciless and effective groups operating in the region. Jalaluddin, thought to be in his 70s or 80s, once told AFP that eating honey was the secret to a long life. He had been bedridden for years and had already passed the leadership to his son Sirajuddin, who is also the Taliban's deputy leader. Jalaluddin "was from among the great distinguished Jihadi personalities of this era", the Taliban said in a statement posted on Twitter. The Haqqani family confirmed the patriarch's death in a WhatsApp message to journalists. It was not clear where or when he died. Unverified reports have placed him in Pakistan in recent years. There had been rumours of his death before, including widespread reports in 2015, though this is the first time the Taliban and his family have confirmed it. Afghan and foreign analysts and diplomats played down the significance of Jalaluddin's death for the group's operations. Analyst Michael Kugelman of the Wilson Center in Washington tweeted: "Given how long he'd been ill, his death won't have a big impact on the war." The Haqqanis were described by US Admiral Mike Mullen in 2011 as a "veritable arm" of Pakistani intelligence. Washington has long pressured Islamabad to crack down on the group, and recently cancelled assistance worth hundreds of millions over Pakistan's lack of "decisive" action against militants. Islamabad has repeatedly denied it is sheltering militants on its soil. But Jalaluddin's son Sirajuddin was running the network "with major ISI involvement", a foreign diplomat in Kabul told AFP, referring to Pakistan's Inter Services Intelligence agency. Apart from devastating bomb attacks, the Haqqanis have also been accused of assassinating top Afghan officials and holding kidnapped Westerners for ransom. They include the Canadian Joshua Boyle, his American wife Caitlan Coleman and their three children, who were released last year, as well as US soldier Bowe Bergdahl, who was freed in 2014. 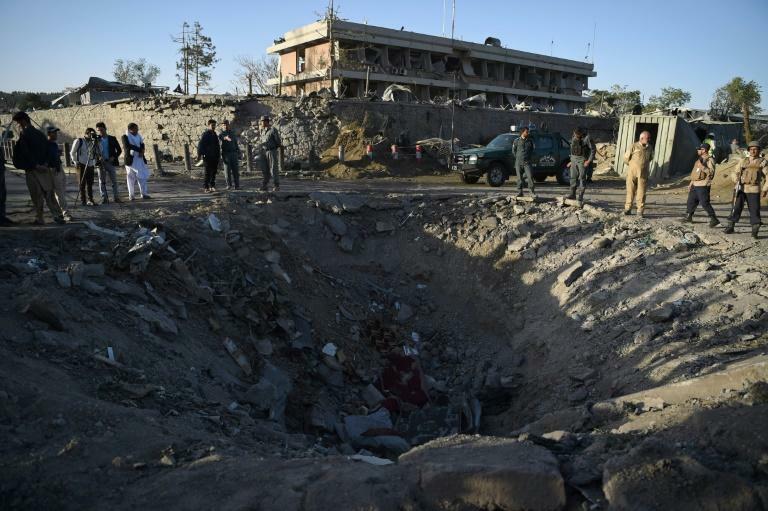 In Kabul, the group is widely believed to have been behind many recent attacks on the capital that were claimed by the local wing of the Islamic State group. Some analysts believe the Haqqanis work with IS -- which at the same time is involved in a bloody turf war with the Taliban -- to avoid blame and political blowback.